Compare the best online dealer prices before you buy Elemetal The Plank 2 oz Ultra High Relief Silver Round (Privateer Series #5) rounds. 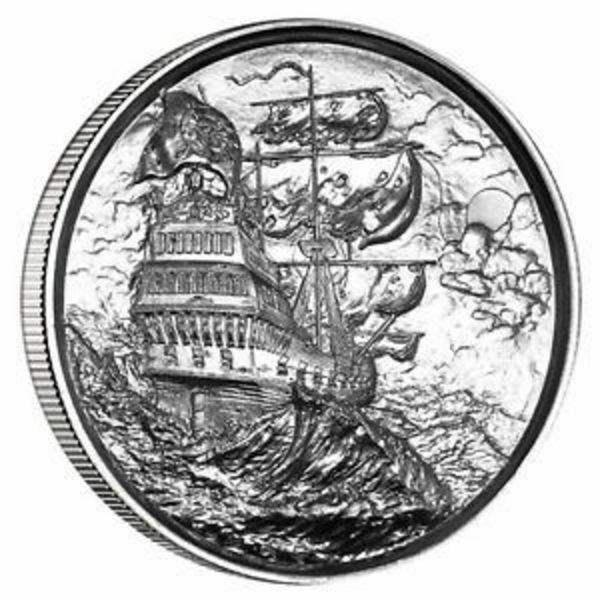 The Elemetal The Plank 2 oz Ultra High Relief Silver Round (Privateer Series #5) round contains 2 troy ounces of silver bullion. 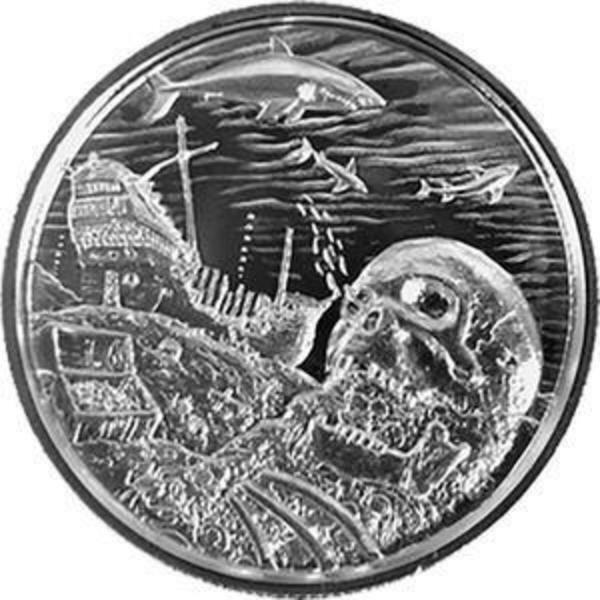 The melt value of one Elemetal The Plank 2 oz Ultra High Relief Silver Round (Privateer Series #5) round is $30.16 based on the current silver spot price. 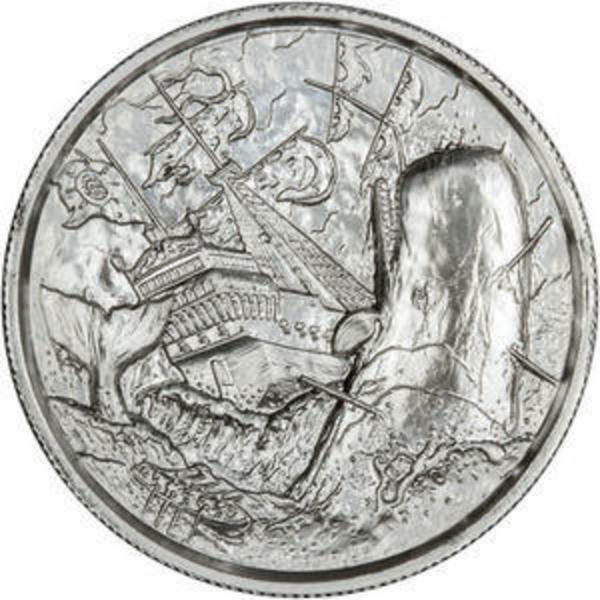 The average price for Elemetal The Plank 2 oz Ultra High Relief Silver Round (Privateer Series #5) for the past 7 days is $57.08. The reverse side of the 2 oz Elemetal The Plank Ultra High Relief Silver you’ll find the image of the pirate ship’s wheel, featuring a rope wrapped around the wheel and a human skeleton set in the very center. 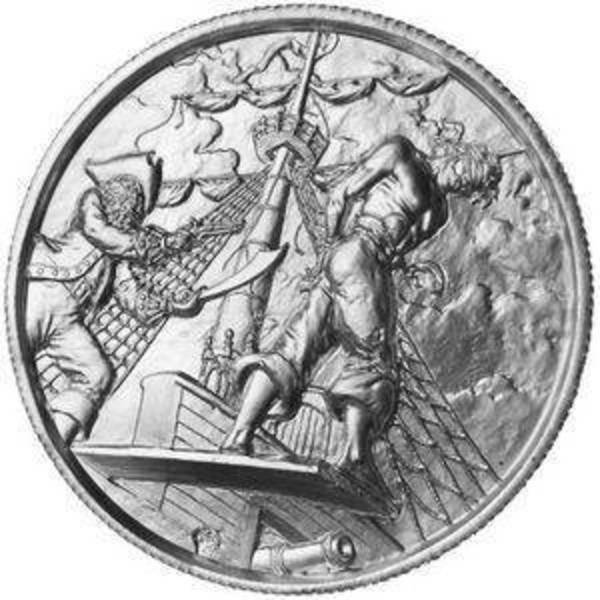 The pirate motto “No Prey, No Pay” is featured on this side along with the weight, purity, and metal content of the round. On the obverse of each Elemetal The Plank Ultra High Relief is the image of a poor soul who’s been sentenced to death by walking the plank. As the pirate captain stands behind him with a gun and sword out to push him along, the mutineer approaches the edge of the plank with his eye’s covered and hands bound behind his back. 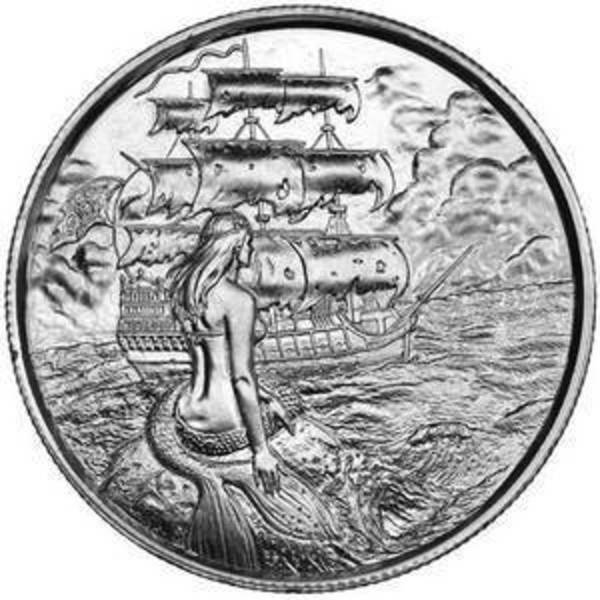 FindBullionPrices.com searches over 30 national, reputable and trusted bullion dealers to find the lowest prices on Elemetal The Plank 2 oz Ultra High Relief Silver Round (Privateer Series #5) and other Elemetal Privateer Collection products. 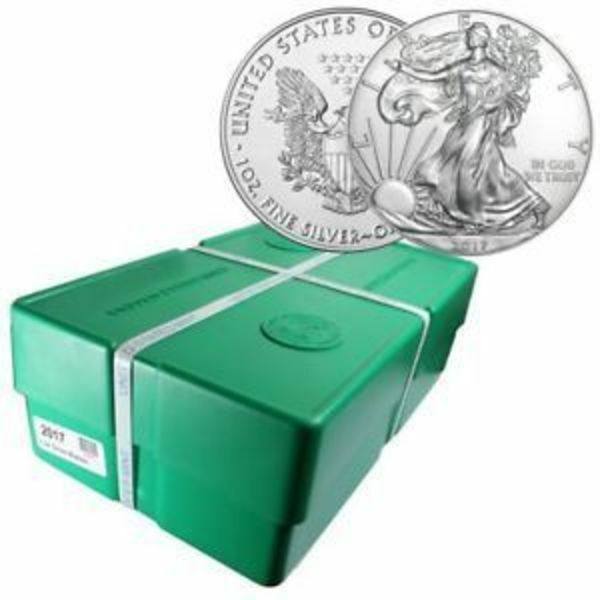 The prices on our site for silver bullion and rounds are updated hourly and adjusted for silver spot price. We give you the tools to compare silver prices from reputable and trusted bullion dealers. 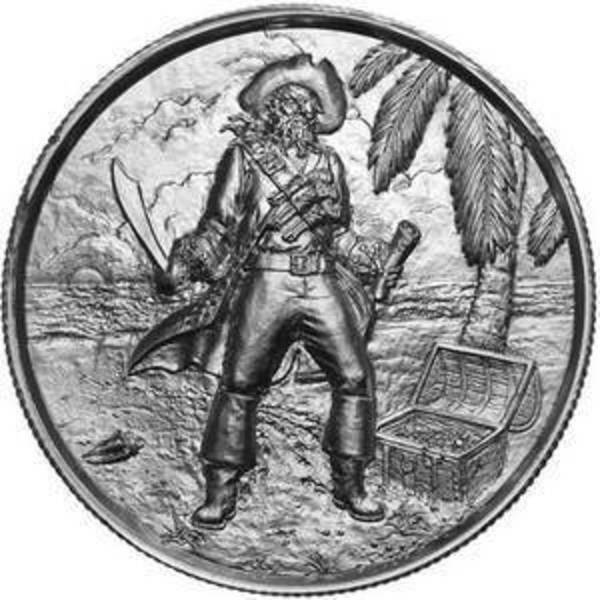 Compare Elemetal The Plank 2 oz Ultra High Relief Silver Round (Privateer Series #5) prices across bullion dealers to pay the lowest price. 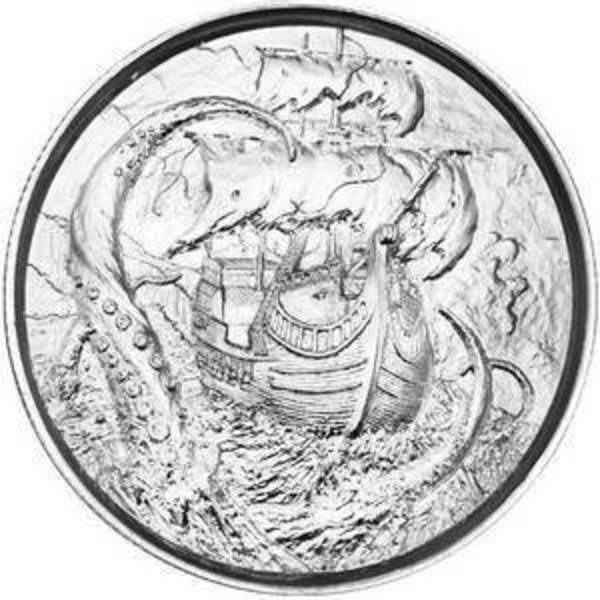 We will help you find the best prices for Elemetal The Plank 2 oz Ultra High Relief Silver Round (Privateer Series #5) when you're ready to buy. You can compare bullion dealers and find the lowest prices for silver rounds at FindBullionPrices.com. If you don't see something you're looking for Contact Us and let us know so we can add it. Search for more silver rounds from United States.